Anupam Kher, Akshaye Khanna and 12 others named in the FIR are associated with the movie "The Accidental Prime Minister" based on the tenure of former prime minister Manmohan Singh. 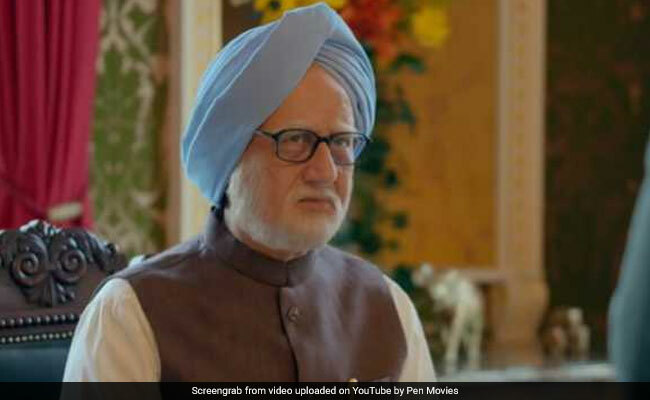 Anupam Kher played the role of Dr Manmohan Singh in "The Accidental Prime Minister"
Muzaffarpur Police has lodged an FIR against actors Anupam Kher, Akshaye Khanna and 12 others on a district court's direction in connection with the movie "The Accidental Prime Minister". "On this, the court issued show-cause notice to Kanti police station through the Muzaffarpur senior superintendent of police after which police lodged an FIR yesterday (Tuesday)," Mr Ojha told reporters on Wednesday. When contacted, senior police officer Manoj Kumar said after the matter came to his cognisance, he ordered the police station to comply with the court's order. In his complaint, Mr Ojha named Anupam Kher (who plays the character of Manmohan Singh), as well as Akshaye Khanna, who plays the role Mr Singh's media adviser Sanjaya Baru, on whose book the movie is said to be based upon.